Carolyn Goodwin is a versatile musician, whose work to date has seen her traverse many genres, drawing on her multiple skills as a performer and creative artist. 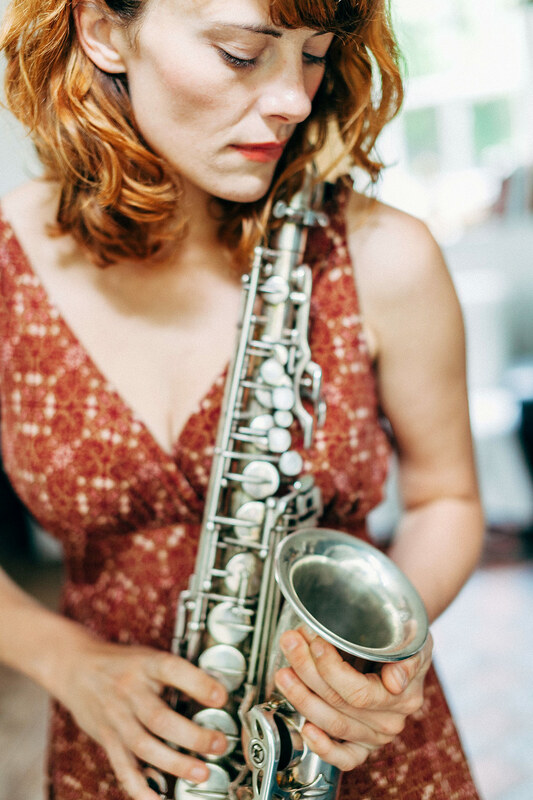 She is a long term member of experimental folk quartet Clang Sayne, whose album Round Soul of the World was released to critical acclaim, and a founding member of the improvised music trio Thou Sonic Friend along with the woodwind quartet Alisio Winds. She has played in various alt-pop settings, touring with American band Bon Iver, as well as her previous time as keyboard player and vocalist with Irish band Fred. Carolyn has premiered many works for saxophone (Irish Composers Collective), and performed with celebrated contemporary musicians in Crash Ensemble, as well as collaborations with internationally-acclaimed composers (Steve Reich, Bill Whelan, Hayden Chisholm). In the world of opera, she has been acclaimed for her work in contemporary productions where she was involved in writing new arrangements for multiple woodwinds and demanding onstage performances (Dido and Aeneas, Pagliacci, Orpheus, Maria de Buenos Aires). She has worked extensively in the world of theatre as a performer, composer, and arranger (ThisIsPopBaby, Corcadorca, Rough Magic), and has been the recipient of the prestigious Fringe First award at the Edinburgh Fringe Festival (Fine Chisel). Carolyn has performed extensively in Europe and across the globe, including Canada, North America, Mexico, Australia, Japan and India. She finds inspiration in traditional music from her native Ireland as well as other cultures, and completed a Masters in Global Music in 2016, where she studied folk and rhythmic music in Scandinavia (Sibelius Academy, Helsinki, Royal Academy of Music, Aarhus) and undertook field studies in Bamako, Mali, investigating the balafon playing tradition of the Mandinka people. In 2018 she was artist in residence at Laboratorio Artistico de San Agustin in Cuba. She has lived in Copenhagen since 2016, where she is an active member of the improv and contemporary music scene.